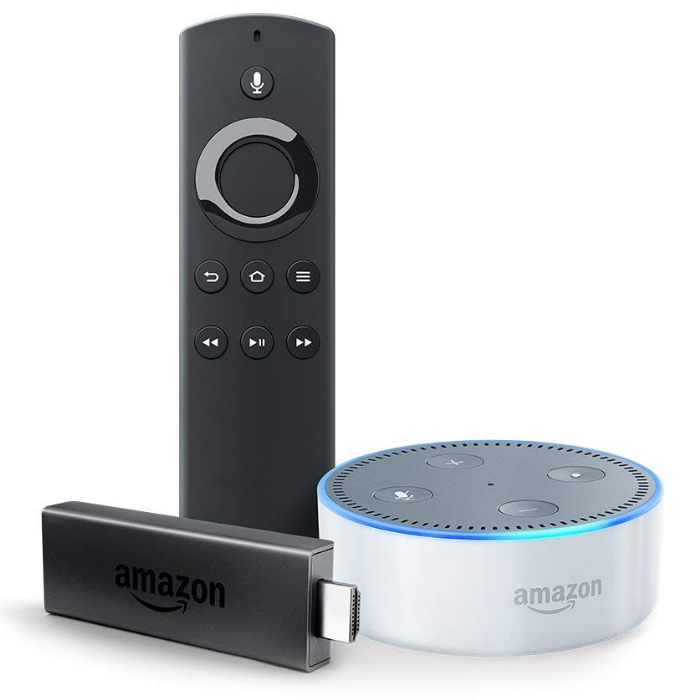 Fire TV Stick With Alexa Voice Remote + Echo Dot Just $39.98! Down From $80! You are here: Home / Great Deals / Amazon Deals / Fire TV Stick With Alexa Voice Remote + Echo Dot Just $39.98! Down From $80! Hurry over to Amazon where you can score this Fire TV Stick with Alexa Voice Remote + Echo Dot for just $39.98 down from $79.98 PLUS FREE shipping! Never miss an episode when you’re away from home. Fire TV Stick works with any HDTV so you can take it over to a friend’s house or bring it along to hotels and dorm rooms. Just plug and play anywhere–all you need is a Wi-Fi connection. Pair the included Fire TV Stick and for hands-free voice control of your Fire TV with Alexa. Just ask for the content you want like, “Alexa, play Sneaky Pete,” and relax while Alexa gets your content started.